Architecture visualization can consume a lot of resources and time if you’re not careful. With the tediousness of Photoshop and renderings calculating through the night, spending more that 20 minutes searching Google images for a specific texture or image can become a breaking point for many. Any way to save time in this field is a big advantage, especially in school. The thing is, there are a lot of free resources online that have already put in the hard work so that you don’t have to. Many of these sites were life savers going through architecture school. Below are some of my favorites websites containing free cutouts and textures. Some of the resources made the list because of their clear organization of the information. Often, there are very specific demands of a project or client that require lots of time online searching. These sites offer smart labeling and clear categorizing that makes finding specific items painless. 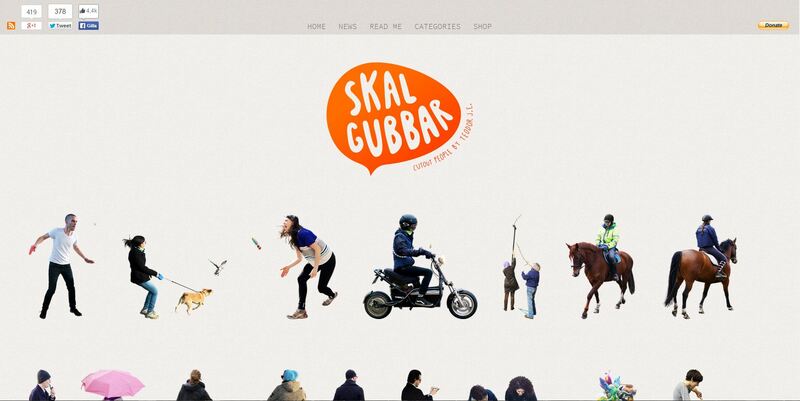 Skalgubbar offers up a large library of high resolution cutout people in PNG format. The people are often in unique situations which don’t work for all illustrations. At the same time, the unique positions can also help add a bit of character to some less exciting images. Either way, I enjoy the “tumblr-like” display allowing you to quickly browse through a lot of images. 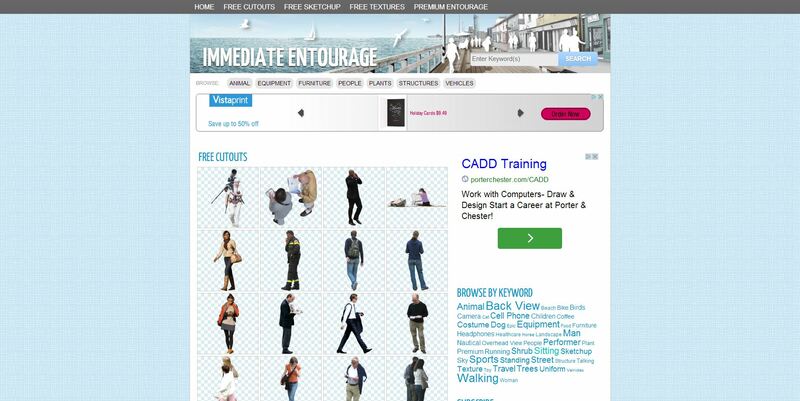 Immediate Entourage is another great site to find a large collection of cutout people. The resolution of the cutouts are hit or miss, but the library is comprehensive. What is even better, I.E. also provides many cutouts of vegetation. Everything is well labeled so it is easy to find what you need. Gobotree is a large and growing library of free images and cutouts created by the people at Vyonyx. 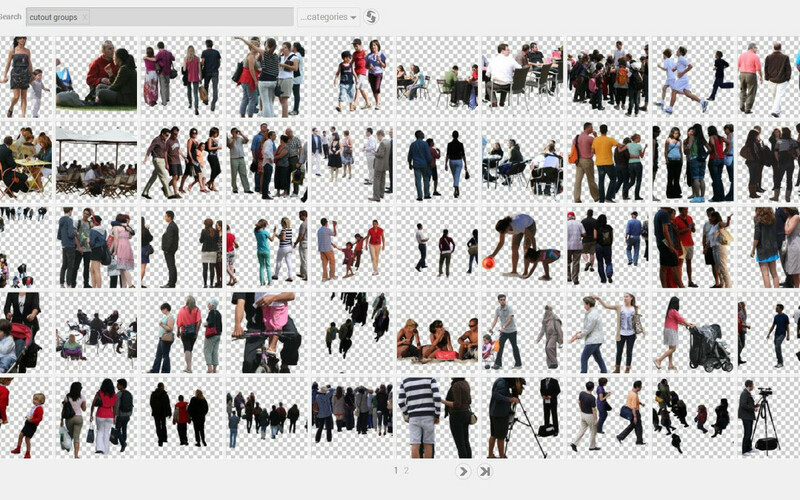 By using the categories drop down at the top of the page, you can find extensive libraries of cutout people and vegetation to quickly populate an illustration. I especially like their sky collection and visit it often. I’m impressed with how this site is progressing and hope they can keep it growing. You do need to register for a free account which limits downloads to 50 images a month. Mr Cutout provides extremely high res cutouts from a descent size library. The problem is that once registered, you are limited to 2.5 mbs a day. Just a few downloads can consume the entire daily allowance. This can be limiting with only a few days to produce an illustration. However, the quality of the cutouts are some of the best and can be a good resource for some of the close-up foreground elements. This site offers full cutout collections of people in specific situations. Examples include a collection of office scenes, coffee scenes, people scene from above, people scene from below, etc. Green screens are used meaning the cutouts are of the highest quality. XOIO also provides many other collections of 3d models and backgrounds that can be helpful as well. Probably one of my all-time favorites, I visit this site every time I am working on a new illustration. CG Textures is a huge database of jpg textures, many of which are tileable. This works great for texturing in Sketchup as well as in Photoshop. What I appreciate the most about this site is its incredible organization and in-depth library. It’s my go-to place when I need to find very specific and unique textures. The free account allows you to download 15 mbs a day. Similar to CG Textures, Texturer does a good job of organizing the images. However, few of the textures are tileable. Though this limits my use, there are still many useful textures to be found once I’m post processing in Photoshop. What I like about SWTexture is the size of the tileable textures. When used in a 3D model or in Photoshop, the tiling is barely noticeable. The blog focuses on commonly used materials so you will be hard pressed to find anything unique or specific. However, the textures that are provided are of great quality and worth checking out. Not only a great blog, Matúš of FlyingArchitecture provides several V-Ray textures which include bump and displacement maps. Though the textures are created for V-Ray, you can use just the diffuse images in your 3d model and in Photoshop if needed. 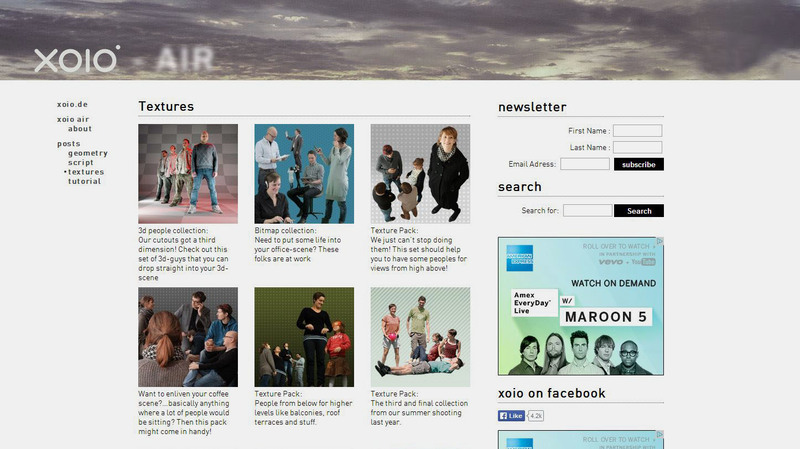 This site is a pleasure to browse and beautifully designed. Rendertextures is a spinoff of FlyingArchitecture so the images are of similar quality and also contain bump and displacement maps. Beyond that, the information is well organized and easy to navigate. This is not a large collection but a good suppliment to what you may already have. While there are some free cutouts, I personally like Tony Textures because of their many high res texture images. Though most are not tileable, the viz images such as skies, ground planes, water, etc. go a long way in Photoshop. I often explore this site if the other resources fail to deliver. I’m always looking for more resources so if there are any that I missed, send me an email or leave a comment. You can never have enough entourage. Wow, thank you so much! I knew only two of these sites, so this comes in very handy. You're best, Alex! keep up the good work Alex. Alex, amazing work as always, followed for the last 5 years I think… Got me through uni and fair to say the job I'm in now. Just wondering, perhaps it may be good to see the kit you use, computer specs etc… As well as periphials, mouse or pen etc… Amazing work. Would be good to see the projects you work on in detail, from feasability to finish etc… Showing as many steps as poss. Thanks for the kind words. I did a post a while back on the equipment I use, but have since made some changes. I am now using a MacBook Pro Retina mainly for the great screen and color reproduction. I am also using a dell 27 ips monitor as a second monitor again for the accurate color reproduction and wide viewing angles. Just a simple travel mouse, and no wacom tablet of any sort though I would like to move to the razor Orochi gaming mouse in the future. I plan to get into some more detailed walk-throughs and tutorials soon. I have a lot of stuff going on in the back-end of things that have been taking up a lot of my time but will hopefully be going live with those in the near future. Thanks for the five years of commitment. Thank you very much for sharing these URLS! Great job yours! I haven’t used any of the material textures as I am fairly new to this site, but I appreciate the cutout figures and the attention to their perspective. At this time it appears like WordPress is the best blogging platform available right now. Thankyou…These will help and save time and give me ideas. For non-Scandinavian figures, you can try http://www.cutoutlife.com! Thank you so much ! I’ve been searching for cutout during so long, and could never find decent website ! That’s saving a lot of time to know these ones. a very usefull information indeed, thx alot man. I have recently used mostly http://www.vishopper.com. It has a big selection of free cutouts. People and trees as well. And if you’re willing to spend some money, you can buy images separately, which is very economical. immediate entourage is not free anymore. They also have some freebies as well! I would like to share the cutout-trees site. They have being improving the library in a steady bases and the trees look really nice, with high quality PNGs and meticulous cutout.